Situated in Polazna, this spa hotel is 19.6 mi (31.5 km) from Diorama Museum and within 32 mi (52 km) of Museum of Circus Arts and Petropavlovsky Cathedral. Perm Opera House and Korolevskie Nomera are also within 32 mi (52 km). Situated in Polazna, this hotel is within 32 mi (52 km) of Diorama Museum, Museum of Circus Arts, and Petropavlovsky Cathedral. Perm Opera House and Korolevskie Nomera are also within 32 mi (52 km). Situated in Perm, this hotel is within a 10-minute walk of Sergei Diaghilev Museum and Permyak Salty Ears Monument. Perm Bear Monument and Perm Opera House are also within 15 minutes. Situated in Perm, this hotel is within a 10-minute walk of Perm State Gallery, Korolevskie Nomera, and Perm Bear Monument. Perm Opera House and Permyak Salty Ears Monument are also within 15 minutes. How Much is a Hotel Room in Polazna? Hotels in Polazna start at $45 per night. Prices and availability subject to change. Additional terms may apply. If you are planning an adventure in Russia and need a Polazna place to sleep, it may be helpful to know that Travelocity's booking platform doesn't currently include lodgings in Polazna. However, as you make memories in this pocket of Russia, you could try to stay in Volgograd, merely 820 miles (1315 kilometers) from Polazna. 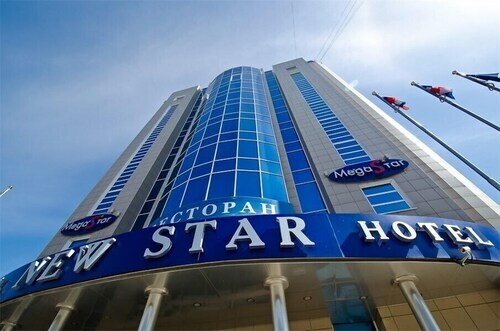 Volgograd rooms include the Yuzhniy Hotel and Hampton by Hilton Volgograd Profsoyuznaya. Once you and your traveling partner have got to know Polazna, why don't you explore a bit more of the area? The Volga vicinity is home to many things to look at. Visit Volga's traditional villages. Lovers of the great outdoors could also take the time to check out the region's forests, rivers and streams. In this region of Russia adventurous visitors might also partake in skiing, cross-country skiing and hiking. The Perm State University is a favorite tourist destination of the area. 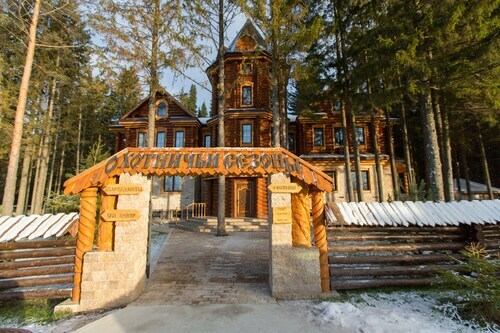 Book a hotel in Perm, located 25 miles (36 kilometers) to the south of downtown Polazna. Choose from the Hilton Garden Inn Perm and Gallery Hotel. Don't say goodbye to Volga without seeing a fixture at Zvezda Stadium. When you are searching for somewhere to stay, you should check out at the Business-hotel Sibiria. Travelocity's city guide is an excellent way to digest more secrets of Polazna. 5.0 Nice hotel with great staff. The hotel was nice and maybe one of the best in the area. The staff, especially Marina, were very friendly and helpful. The staff made me feel welcomed and spoke English well enough to make communication a non-issue. They also assisted with flower deliveries for my special Russian lady and sent champagne and chocolates for my birthday. I recommend the hotel to fellow travellers and would stay there again. Hotels near Perm drama "Theatre-theatre"